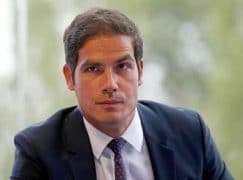 In the last few minutes, the president of Radio France, Mathieu Gallet, was removed from his job by the broadcasting council following a conviction two weeks ago for showing favouritism in a previous public office. Gallet, 41, will step down next month. The seven members of the broadcasting council will publish their reasons later. They had been under pressure from the Minister of Culture Françoise Nyssen, who had called for Gallet to resign or, failing that, be sacked. Gallet was a strong supporter of the radio orchestras, which are facing merger threats from the ministry. Where did you get the idea that Gallet was a strong supporter of the radio orchestras? It was exactly at the beginning of his tenure that the merger threats surfaced, followed by massive strikes at the orchestras. The relationship between him and the orchestras was very tense. If anything a new president could help relieve these tensions. Frankly, I don’t think we need two orchestras at Radio-France to play the same repertoire. Let’s make some money savings for once ! Maybe both need not be as large as they are today – not even the unions themselves contest that point. What would help is to give each a clear and different mission, as it used to be, meaning basically much more contemporary music for the Philharmonique. Still, France has only two radio orchestras, which is not much compared to the five BBC orchestras, and let’s not even get started on Germany.